Science and atheism blogger PZ Myers is in the camp that wants to make promoting diversity in scientific skepticism and the secular community a high priority, higher than some people are willing to go. I think it's good to recruit more people from any background. 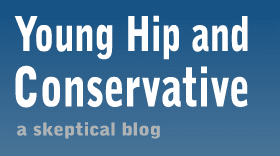 I'd be happy to have more women, minorities, religious people or conservatives in skepticism. Myers and his minions aren't exactly gung-ho about the last two, seeing as how he doesn't want people like me in the secular community. Unfortunately, this quest for diversity has taken the form of propping up unaccomplished token female and minority members as speakers at conferences, and in order to make room for them, established speakers have to be cut. So what I don't understand is why did PZ Myers, a pasty white male, agree to be a speaker at TAM 9 and now the upcoming secular Reason Rally. If Myers wants to make sure there are less white males on stage, he can lead by example and stop accepting invitations to speak. Liberals always tend to be great at making rules that OTHER people have to follow. Ever consider Monsanto is right? Trade can't hurt both partners, can it? Will the imposter please stand up?